Picture this, the wide, empty street down the middle of a 19th century wild west town. A lonely tumbleweed rolls into the dusty street, turns, and heads off into the distance. Could you picture any western American town without a tumbleweed or two rolling around it? Tumble Weed (Salsola Tragus) a.k.a. “Russian thistle” or “wind witch”. As the name implies, tumbleweeds aren’t native to North America. So just how long ago did these Russian invaders arrive to have been so strongly associated with all things American western? Up until 1873, North America didn’t have tumbleweeds. Seriously? I would have thought they would have been here long before that to be such a Wild West icon. It is believed that they snuck into the country with some Ukrainian farmers’ flax seed. Another theory is they hitch a ride in wool. The first report of the tumbling pests in the United States was in Bon Homme County, South Dakota. Within two decades, these nuisances were in a dozen of states and by 1900 had reached the Pacific Coast. 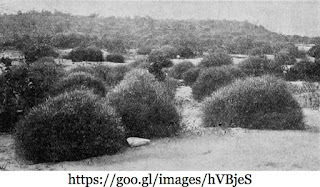 In an 1894 report by government botanist Lyster Hoxie Dewey, he wrote this about the effected areas in South Dakota, North Dakota, Minnesota, Iowa, and Nebraska, “…this makes one almost continuous area of about 35,000 square miles which has become more or less covered with the Russian thistle in the comparatively brief period of twenty years.” Nearly every state is now home to the Russian thistle. They are an agricultural nuisance and fire hazard. There is something mystical about this ball of dried up plant that comes from somewhere yonder and heads to places unknown. 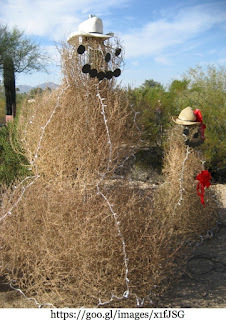 So much so, that tumbleweeds have become sort of a legend in themselves. They have been immortalized in movies, TV, books, poems, and songs. Here’s one song by Roy Rogers and the Sons of the Pioneers. They survive and thrive at almost any elevation from below sea level to over 8500 feet and in most inhospitable environments. They are drought resistant and spread like wild fire. They grow from a few inches to three feet, even some the size a VW Bug. 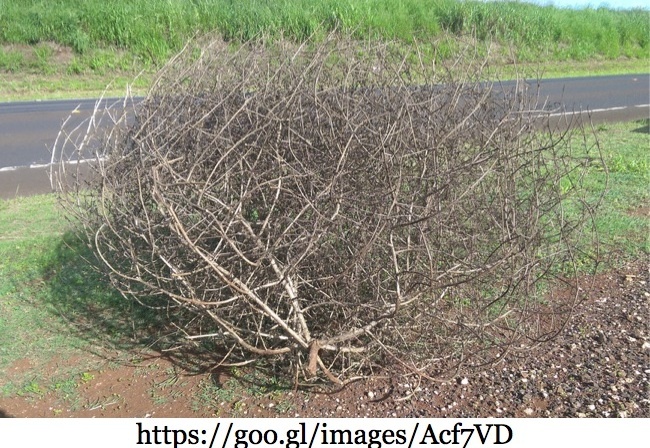 Each winter when they dry out, the whole plant above ground dries out, breaks off, and goes wherever the wind takes it. Literally. Each tumbling ball has around 250,000 seeds. No wonder they are so invasive and took over so quickly. But things are not all bad concerning this invasive plant. Navaho found some medicinal uses for the plant for treating influenza and small pox. Frontiers-people burned them to make soap. 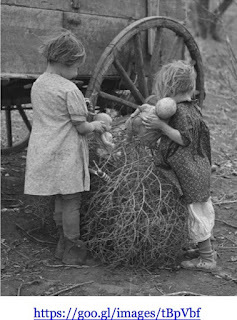 Recipes using tumbleweed were created in areas where little else was available. Several animals, including mule deer, pronghorn, prairie dogs and birds, feed on the succulent, tender young shoots of the plant. During the severe drought of the 1930s, some farmers saved their livestock from starvation by feeding their livestock tumbleweeds when other food wasn’t available. Tumbleweed have been both a blessing and a curse. Did you know you can buy tumbleweeds from many places online? It goes to prove that some people will buy just about anything. 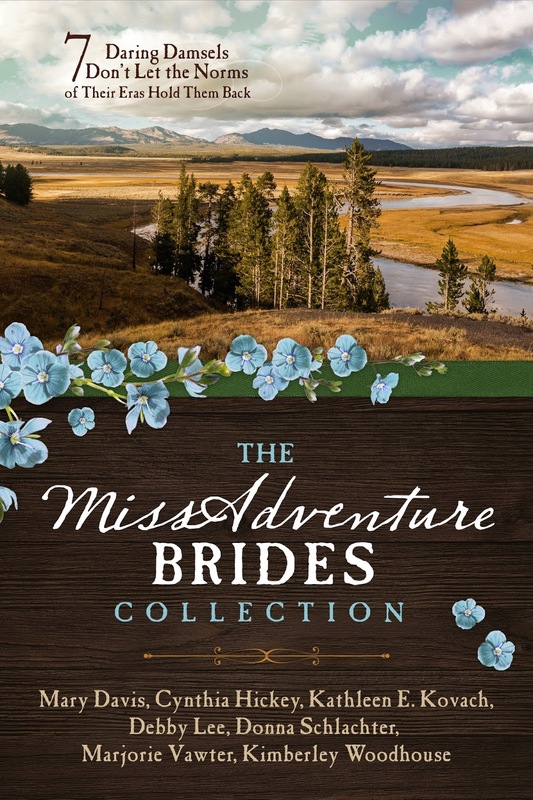 The MISSADVENTURE BRIDES CollectionLove Is One of Life’s Greatest AdventuresSeven daring damsels don’t let the norms of their eras hold them back.Along the way these women attract the attention of men who admire their bravery and determination, but will they let love grow out of the adventures? Zola’s Cross-Country Adventure, a 1904 road-tripZola Calkin sets out on an adventure to be the first woman to drive across the country. 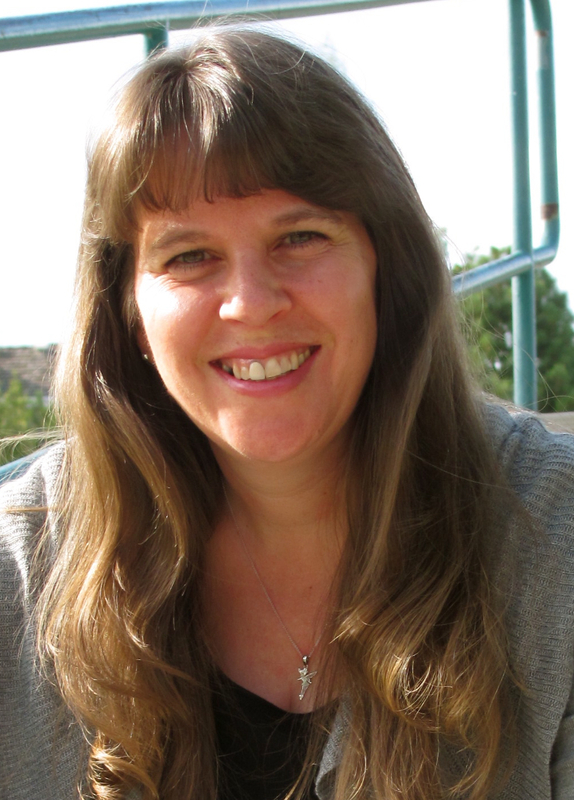 Will the journalist tasked to report her presumed failure sabotage her efforts? Or will he steal her heart? 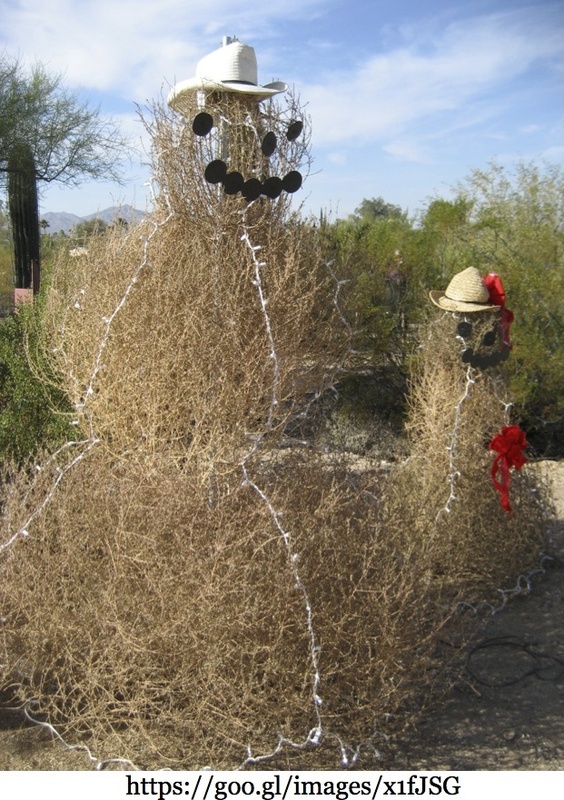 I love the tumbleweed snowman! How creative! Thanks for the smile this morning. Fun post, Mary! I learned something new today.